5! 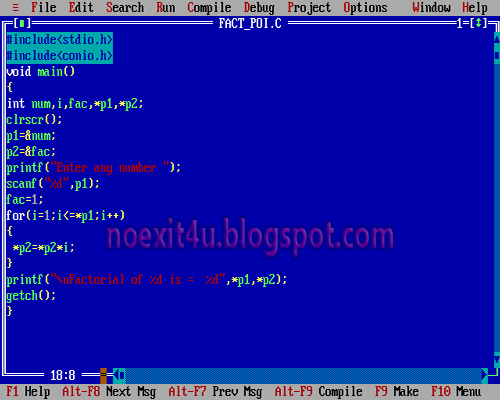 = 5 * 4 * 3 * 2 * 1 = 120. factorial program in c++ is very simple and easy. This article is very clean and useful for using pointers in c Language .